it's war between computer and human with levels 2 and 3 units. 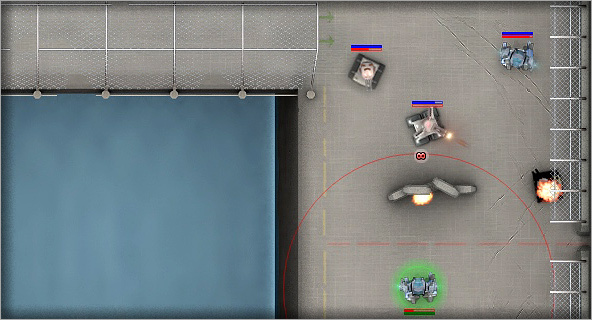 Screenshot of the game hangar, and view on the constructed mech unit "Dominator"
Screenshot of 12 Hangars, with levels 1, 2 and 3 fully constructed units on them. 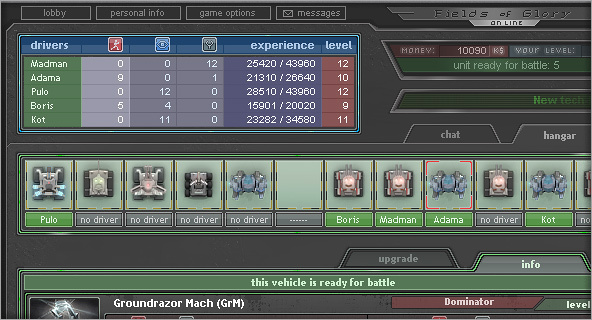 Here you will be able to assign drivers to you war machines. 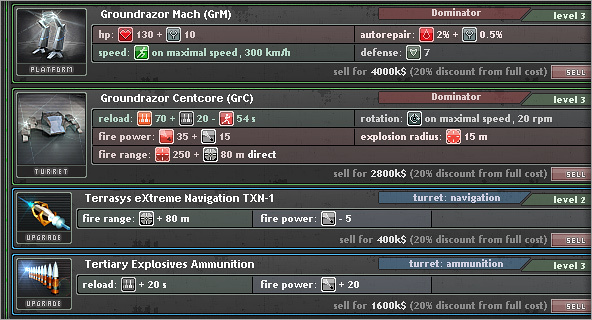 you can rename them and grand them new abilities. 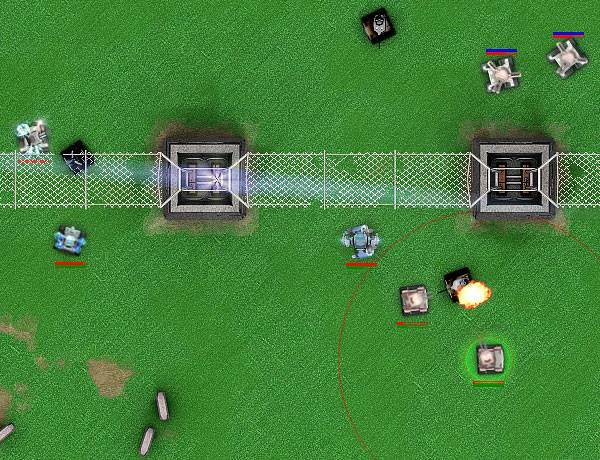 it's war between two human with levels 1 and 4 vehicles.